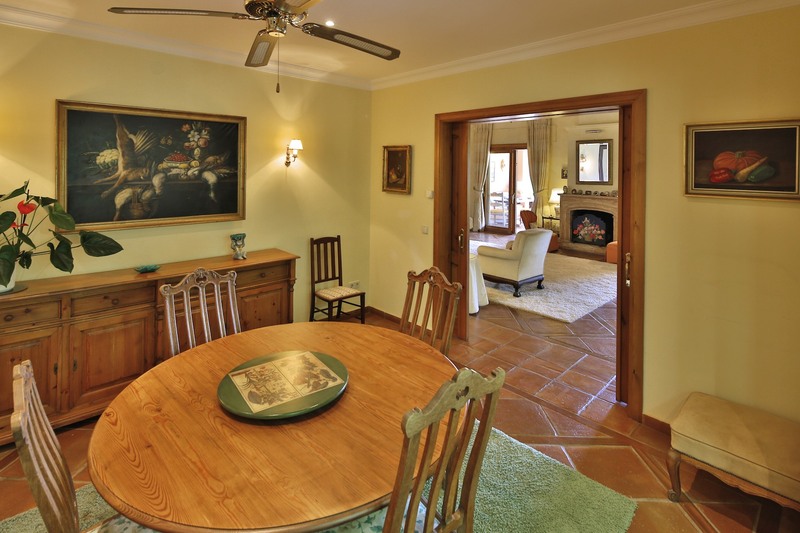 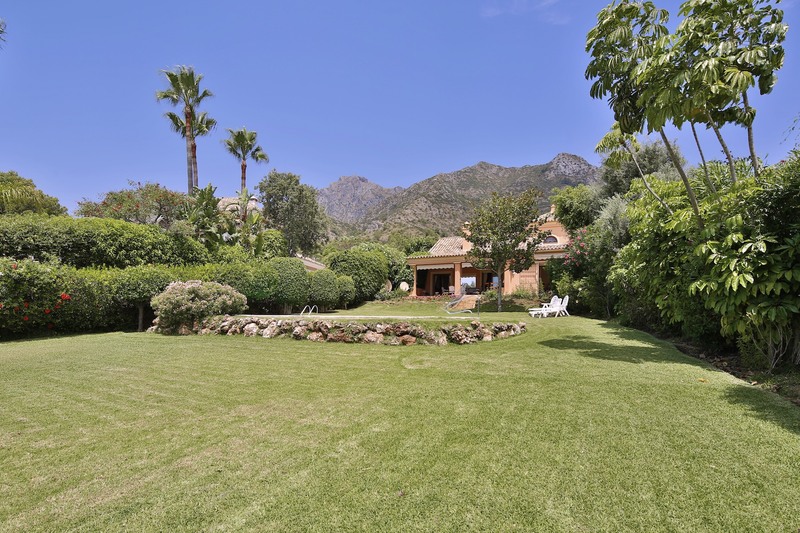 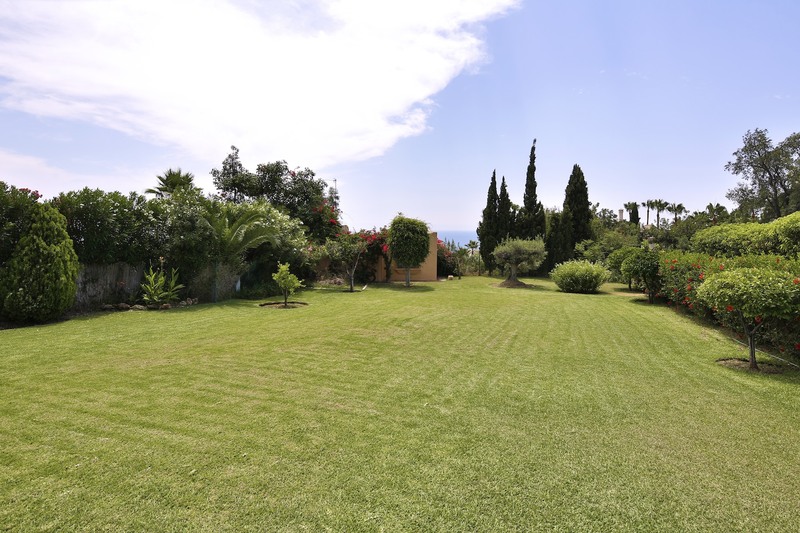 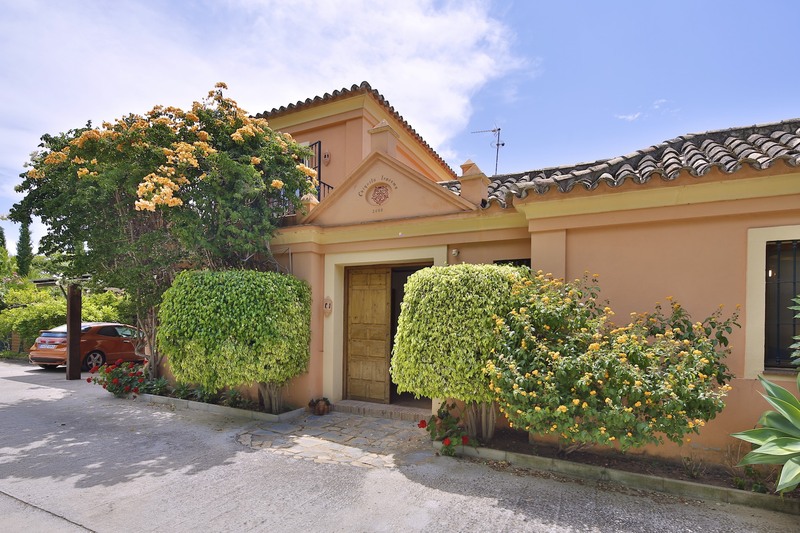 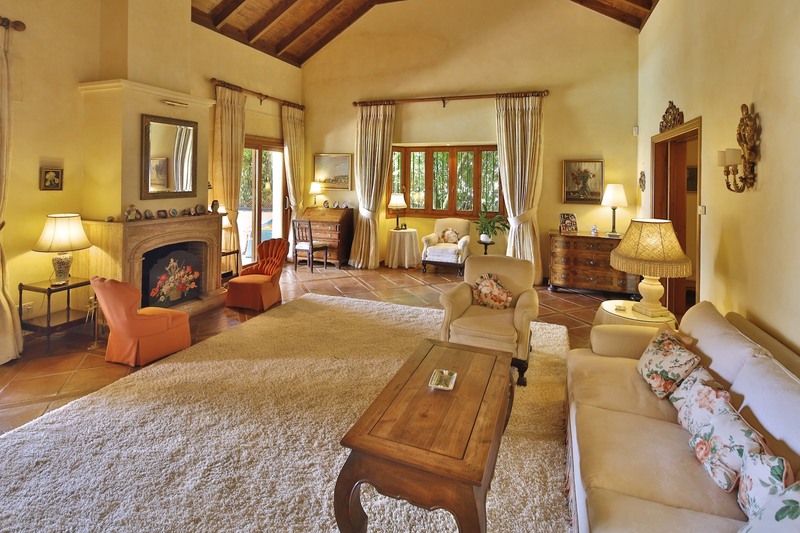 Beautiful Finca surrounded by nature located at the foot of the Concha Mountain in the hills of the Golden Mile only a 5 minute drive away from the centre of Marbella. 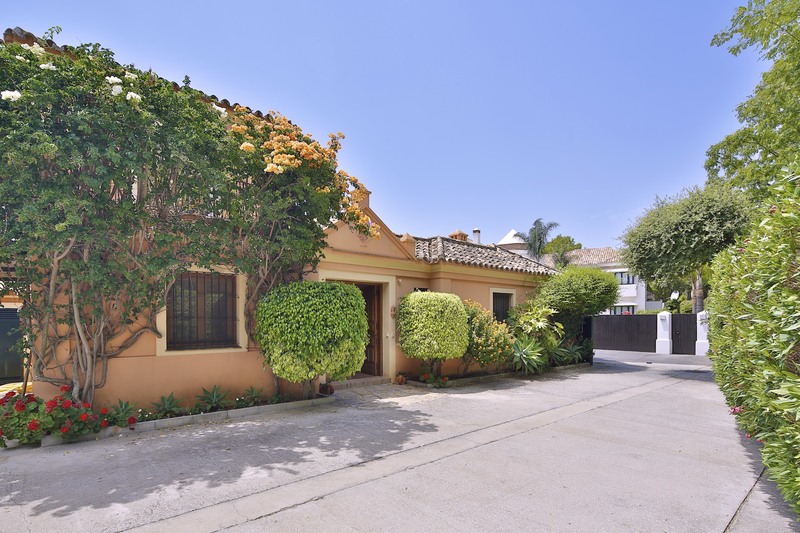 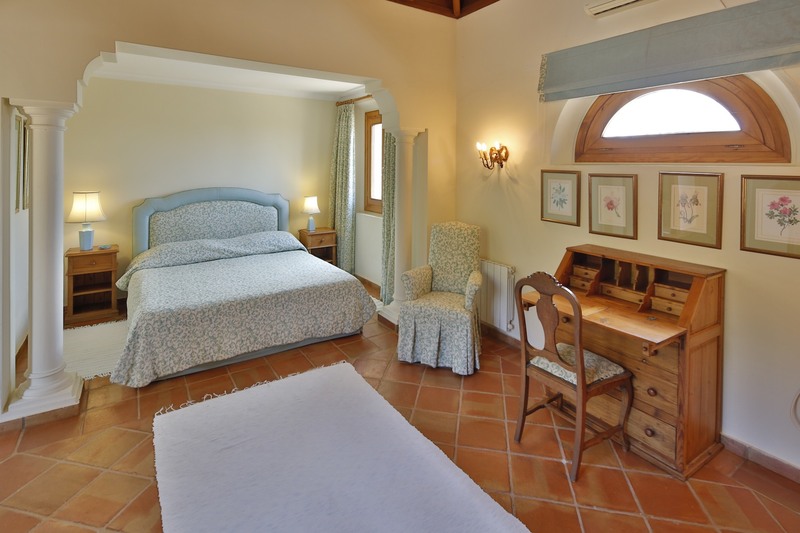 The property consists of a main villa which was built in the year 2000, a guest house which was built a little later and a smaller guest bungalow at the bottom of the plot. 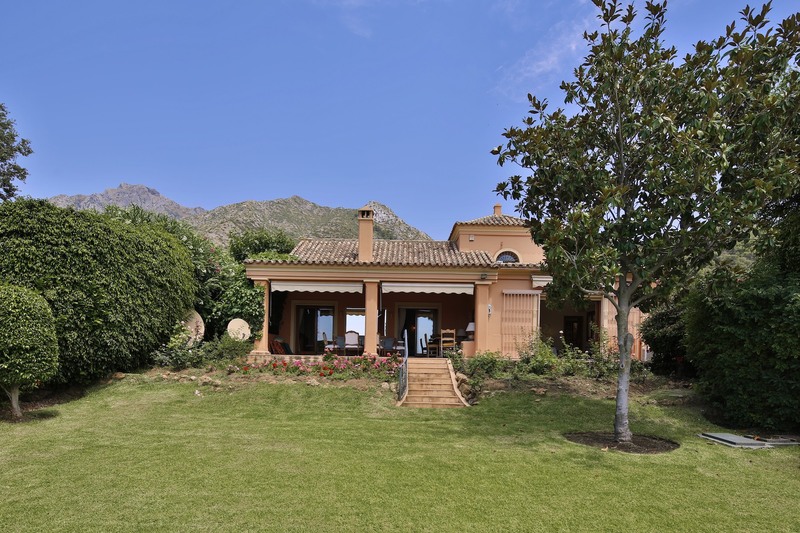 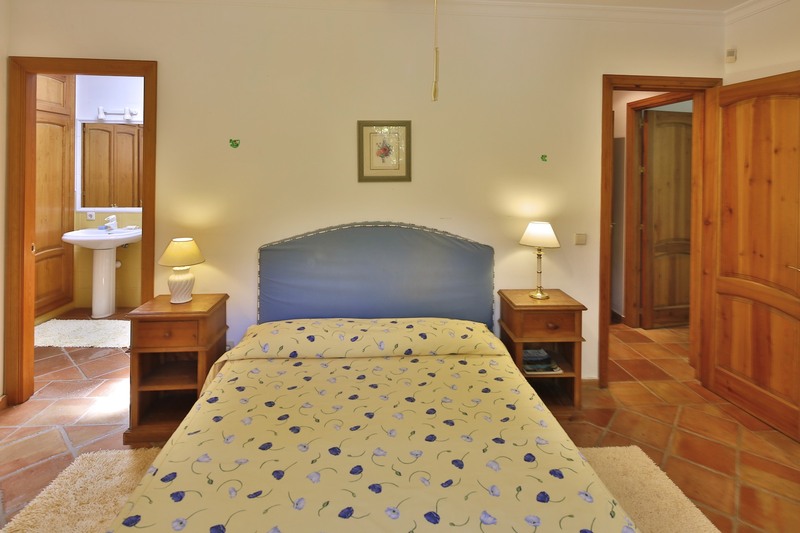 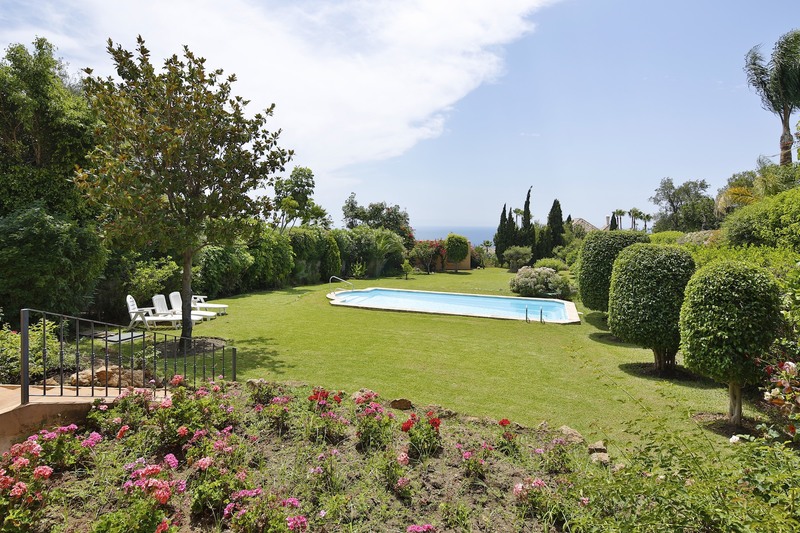 Mainly oriented to the south, the finca enjoys views over its lovely garden reaching all the way to the Mediterranean sea and the spectacular Concha Mountain on the back. 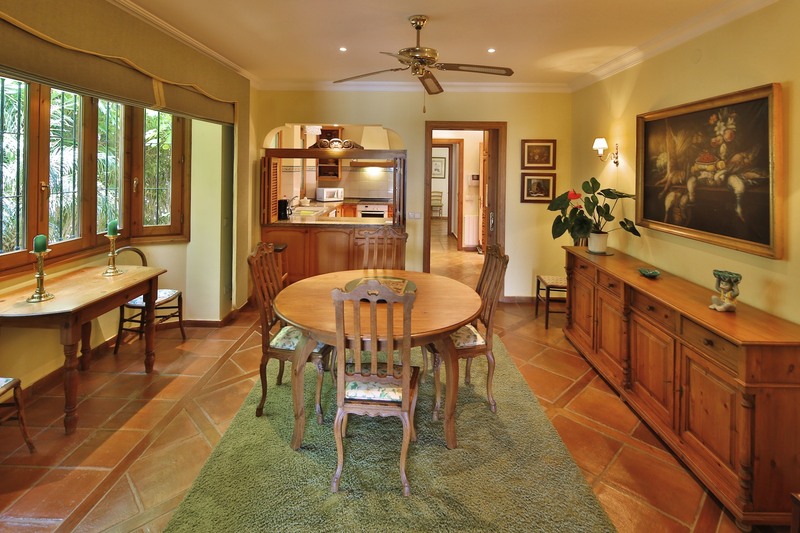 Built in a rustic style with plenty of character and quality, this property is situated at the end of a dead end street ensuring peace, privacy and tranquillity to the future owners. 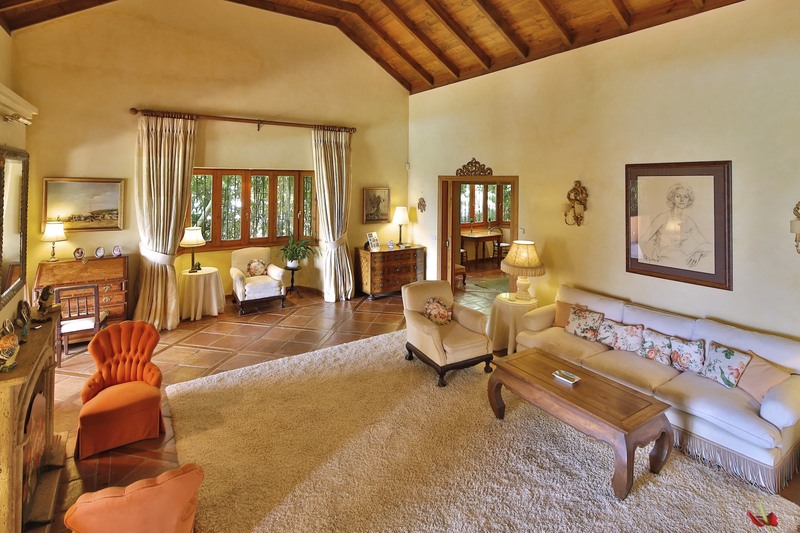 The main villa is built around a central patio and offers 4 bedrooms, 4 bathrooms, staff quarters with bathroom, living room with double ceiling height and fireplace, separate dining room and an open plan fully fitted kitchen with pantry. 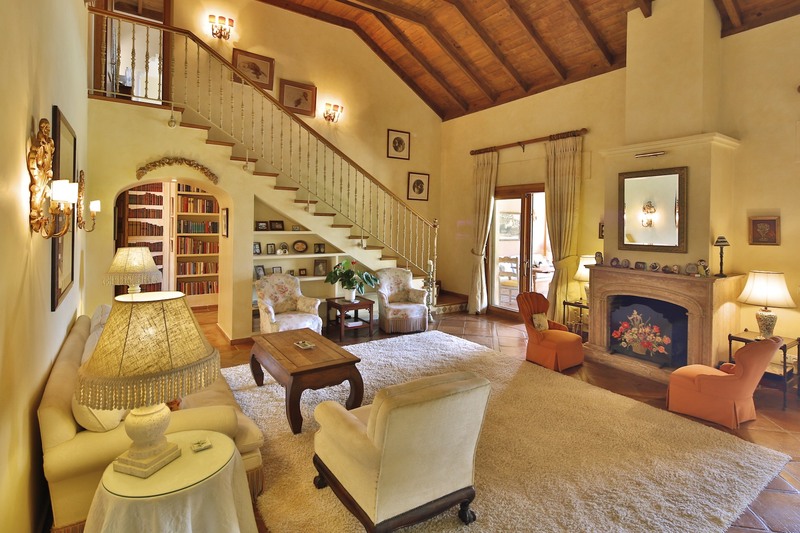 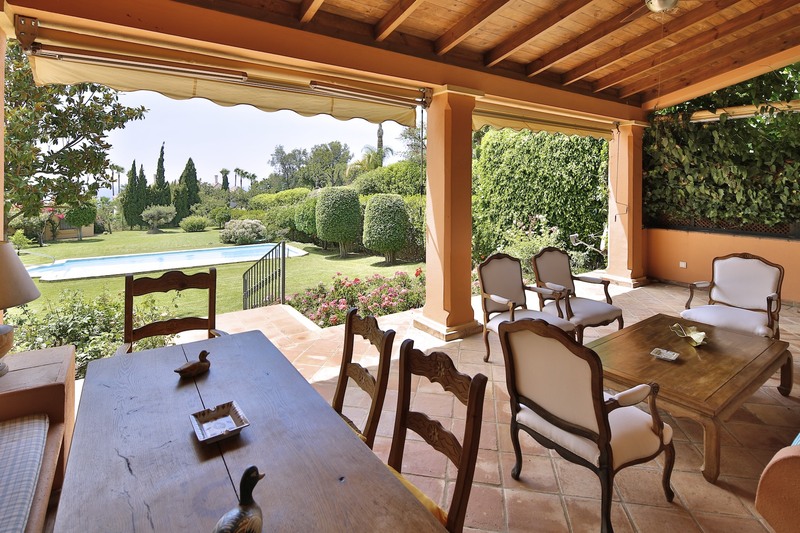 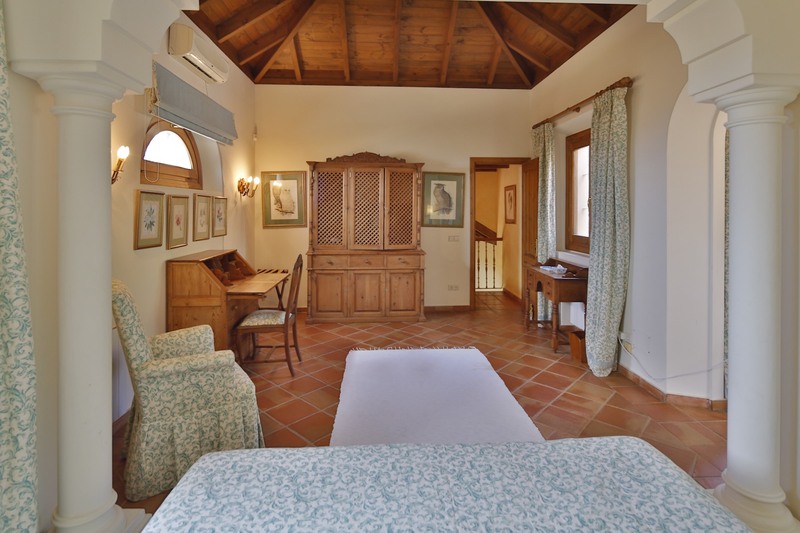 Further the villa features a charming covered porch, a library and a guest cloakroom. 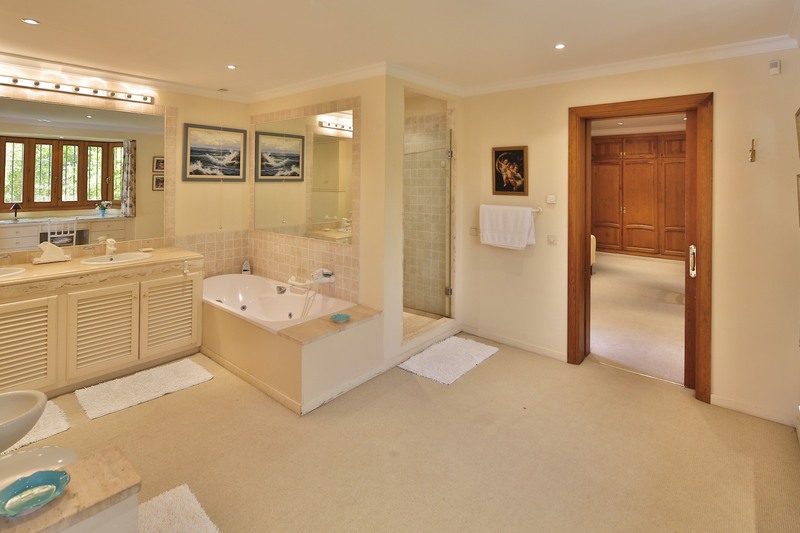 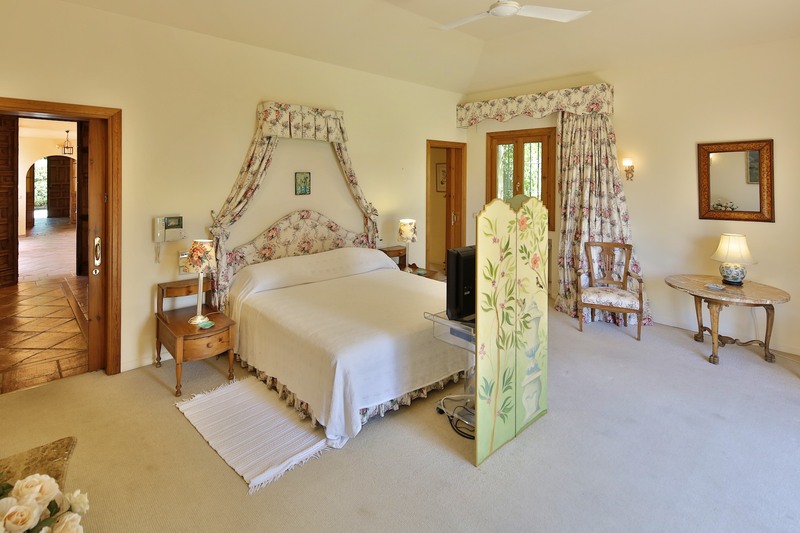 The large master bedroom is en suite with large dressing room and complete bathroom with Jacuzzi bath and separate shower. 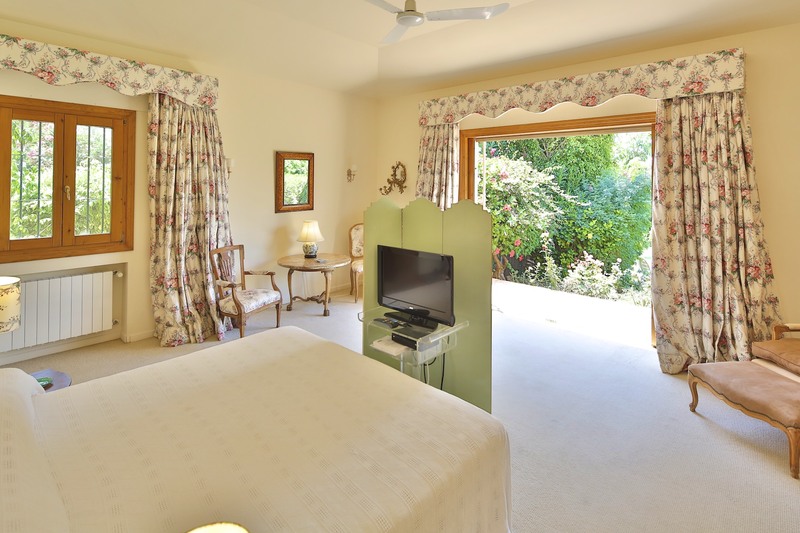 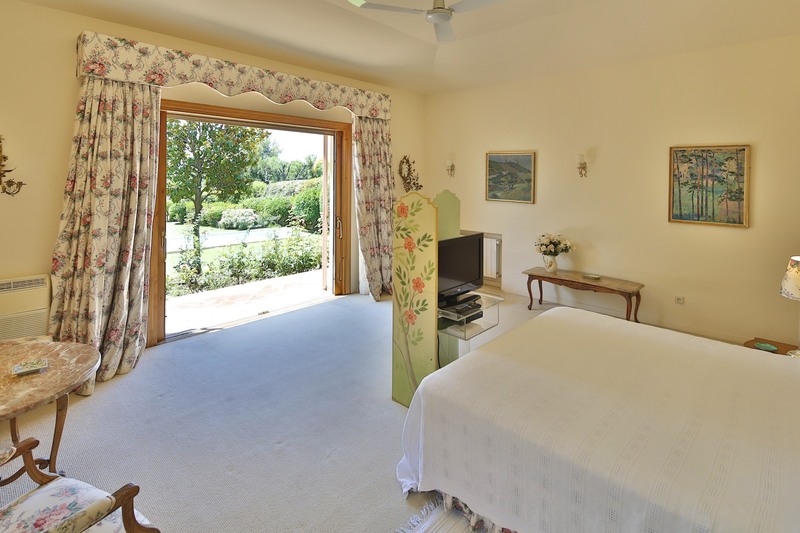 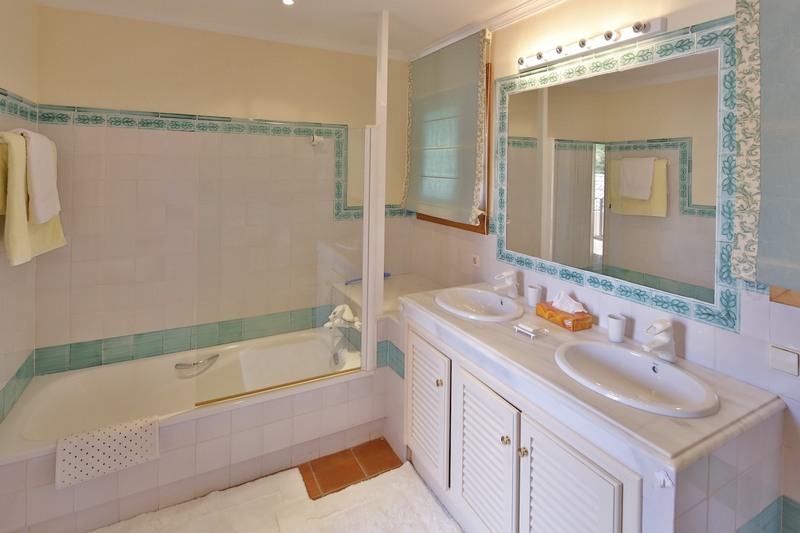 The guest house with private swimming pool enjoys 1 open plan bedroom with lounge, mini kitchen and en suite bathroom with dressing room as well as 2 further bedrooms, 1 lounge and open plan fully fitted kitchen at basement level as well as a laundry room. 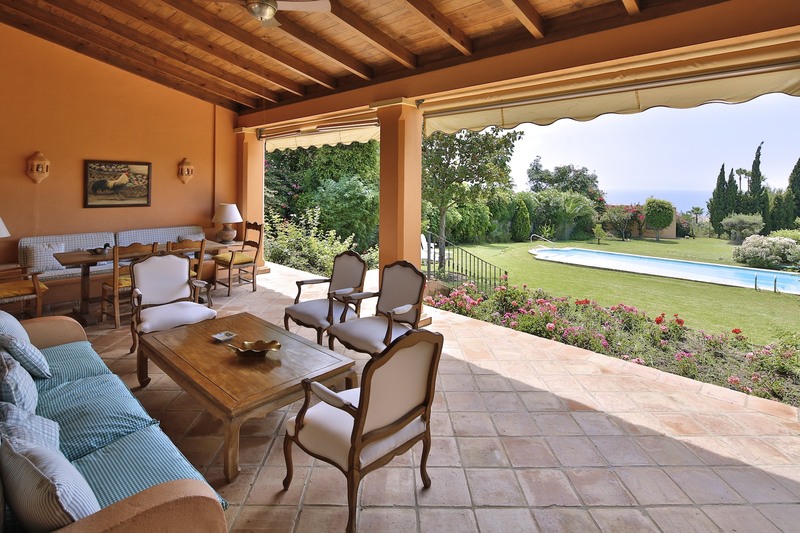 Finally the property includes a little bungalow offering 2 bedrooms, 2 bathrooms and lounge with fully fitted kitchen and terrace. 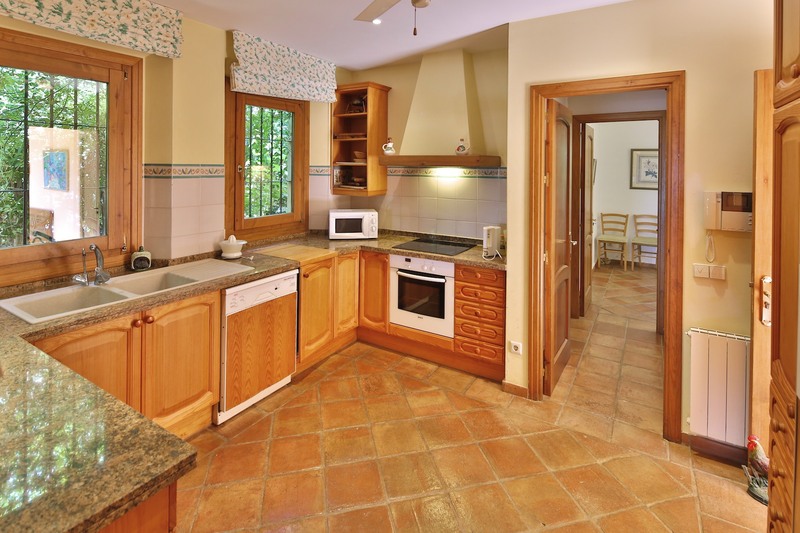 Tiled in terracotta throughout this property is fitted with A C hot & cold, Under Floor Heating on oil as well as central heating, alarm, electric blinds to the large windows, and satellite television. 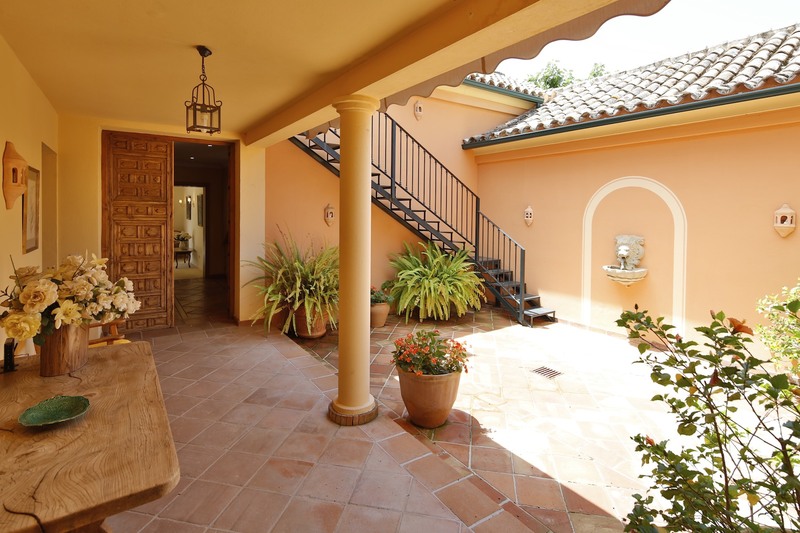 Finally the property offers a carport for 2 cars and open air parking facilities for another 4 to 5 cars.